SNAFU! : Blast from the past. F-105 attempting to dodge an SA-2 over North Vietnam. Blast from the past. 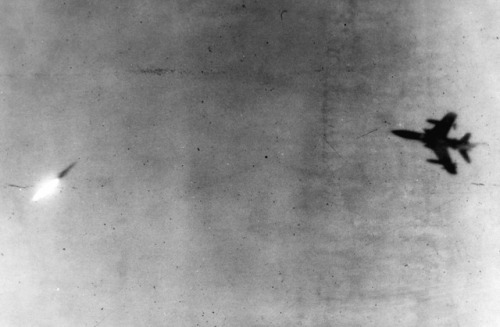 F-105 attempting to dodge an SA-2 over North Vietnam.